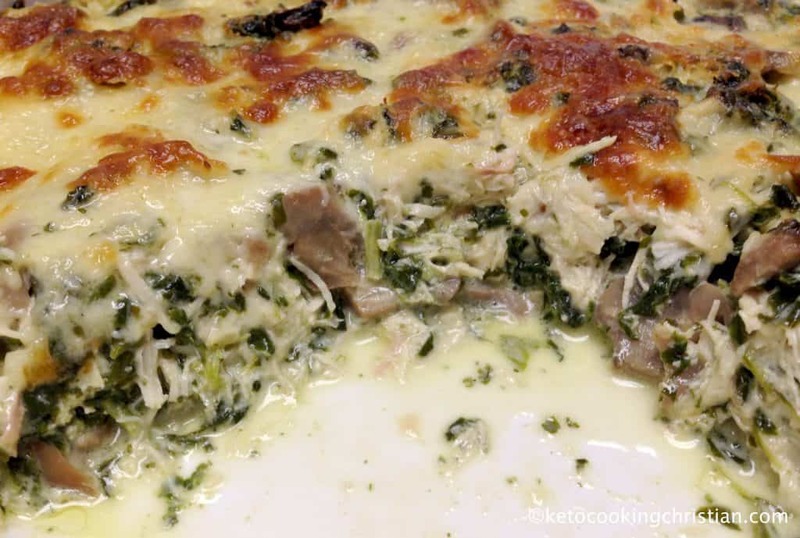 Shredded chicken, mushrooms and spinach baked in an Alfredo type sauce and topped with gooey mozzarella cheese make this casserole hearty and satisfying! 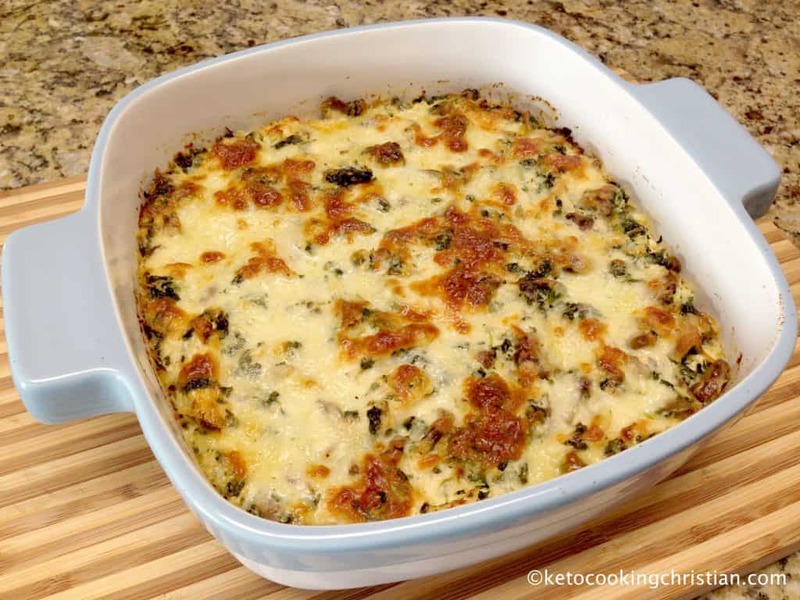 This is one of my very favorite casseroles to make! 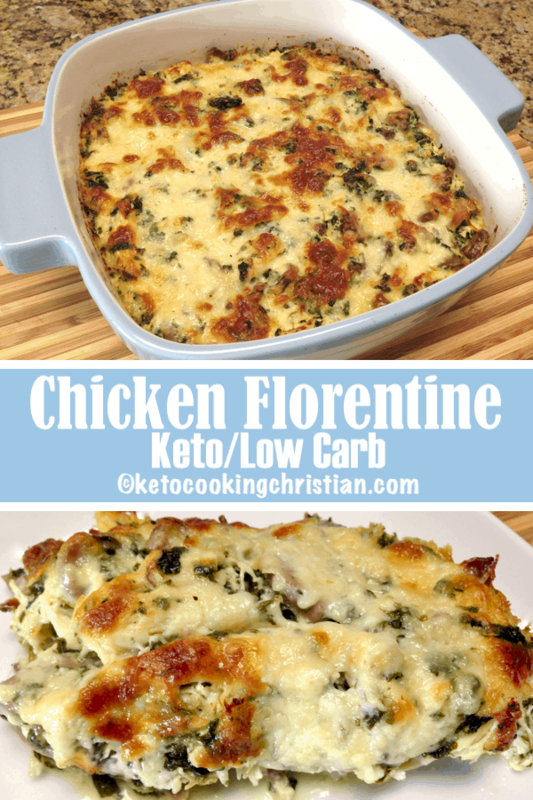 If you need a last minute Low Carb dinner recipe, this Chicken Florentine casserole can be made with ingredients you might already have on hand! 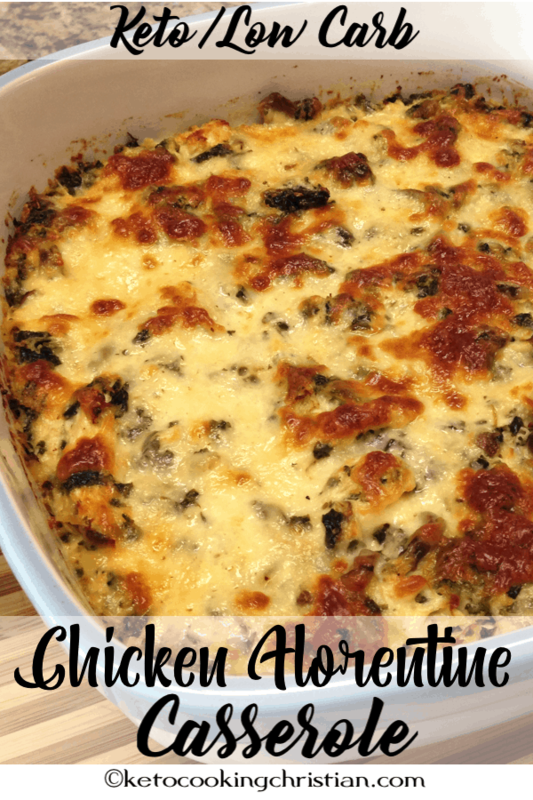 When you bake this chicken florentine, your kitchen is going to smell amazing!! 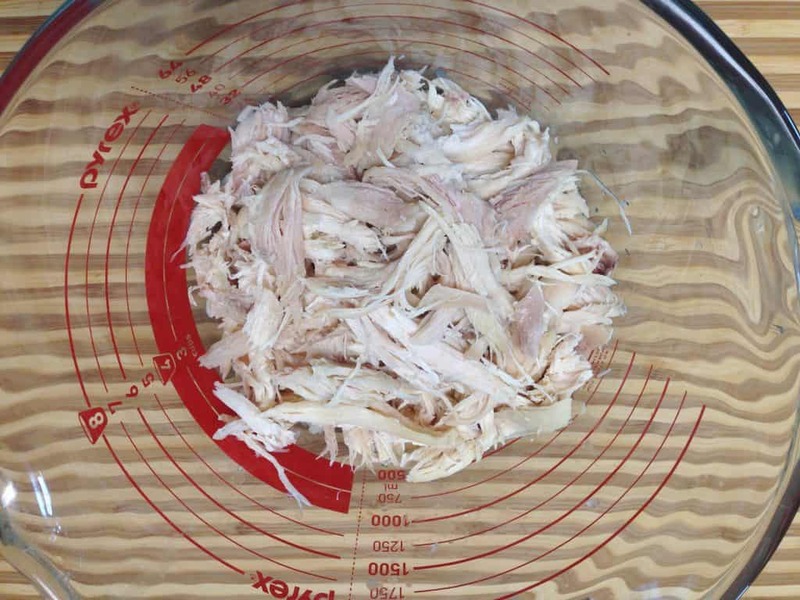 Add the shredded chicken to a large bowl. 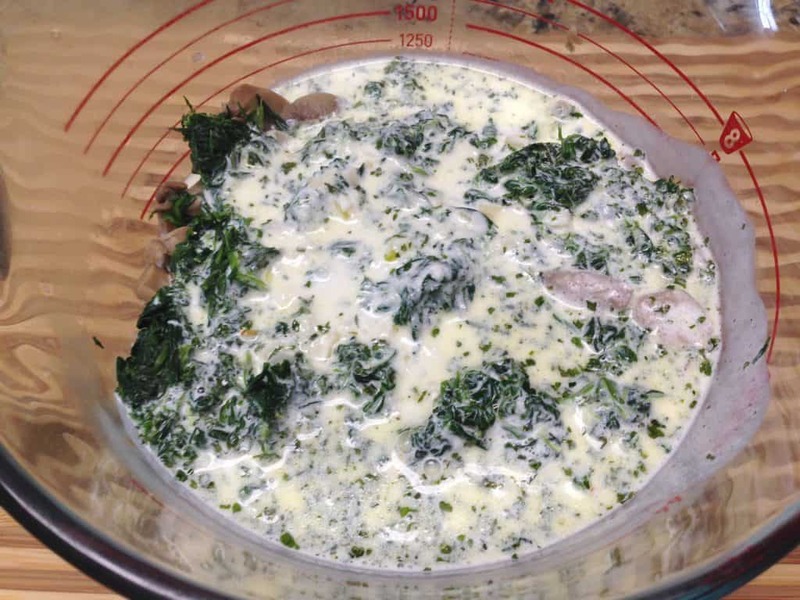 Squeeze all the water out of the spinach, then add to the bowl with the chicken and mushrooms. 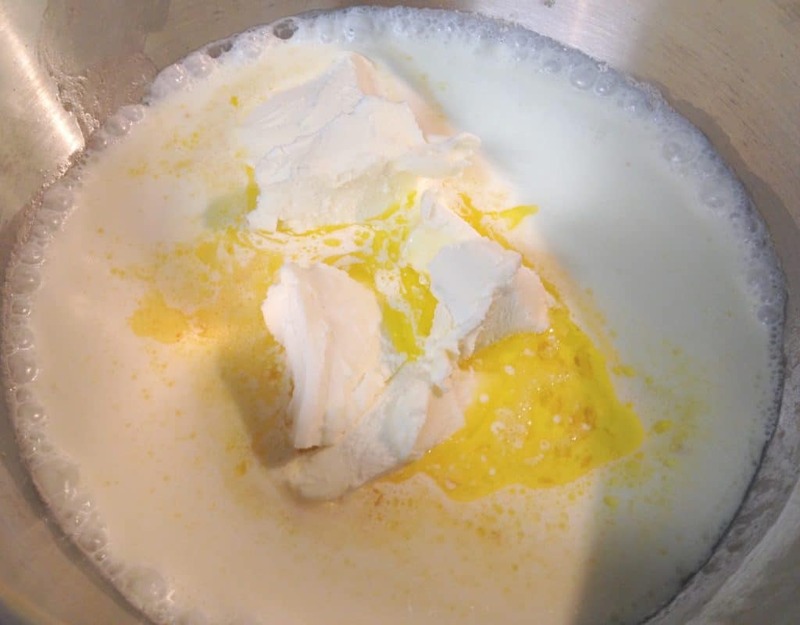 Heat a saucepan to medium and melt the butter. Sauté the garlic for about 20 seconds, careful not to brown! 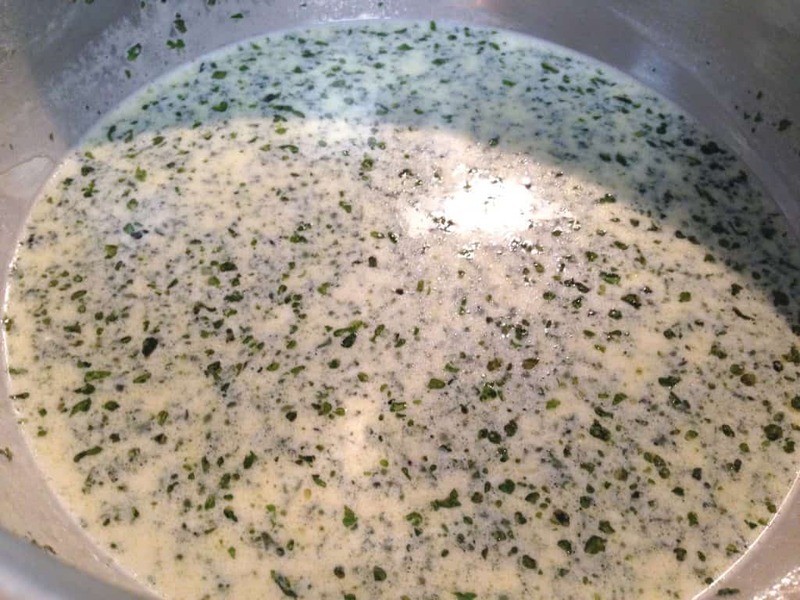 Stir in the mascarpone cheese, until melted. Add in the grated parmesan cheese, salt and pepper. Turn off the heat and stir. 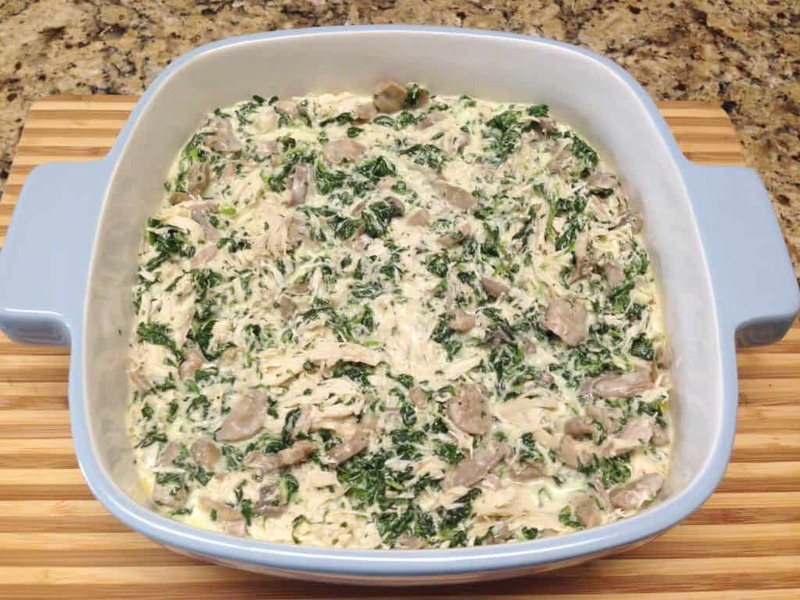 Pour the sauce over the bowl with the chicken, mushrooms and spinach. Mix, then add 1/2 cup of the mozzarella cheese and stir until well combined. Pour into a 9 x 9 casserole dish that has been sprayed with nonstick spray. 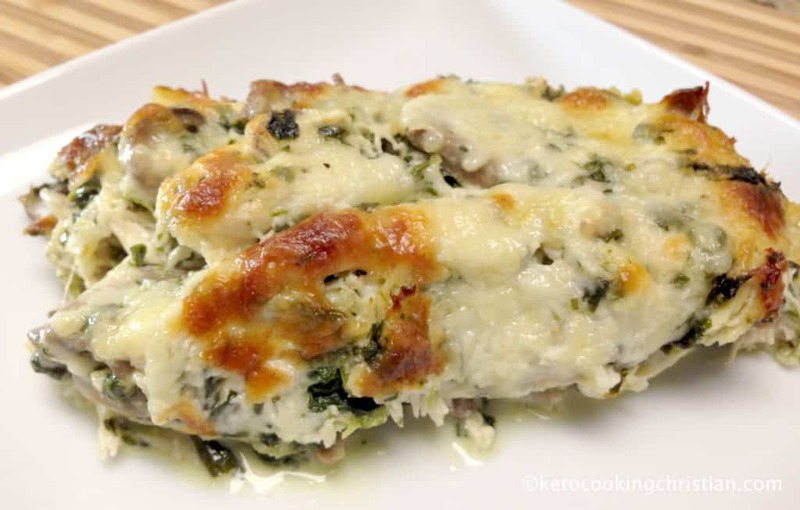 Sprinkle the remaining 1 cup of mozzarella cheese over the top and bake for 25 minutes. Turn the temperature up to 425F and bake for an additional 10 minutes or until the cheese is melted and golden. 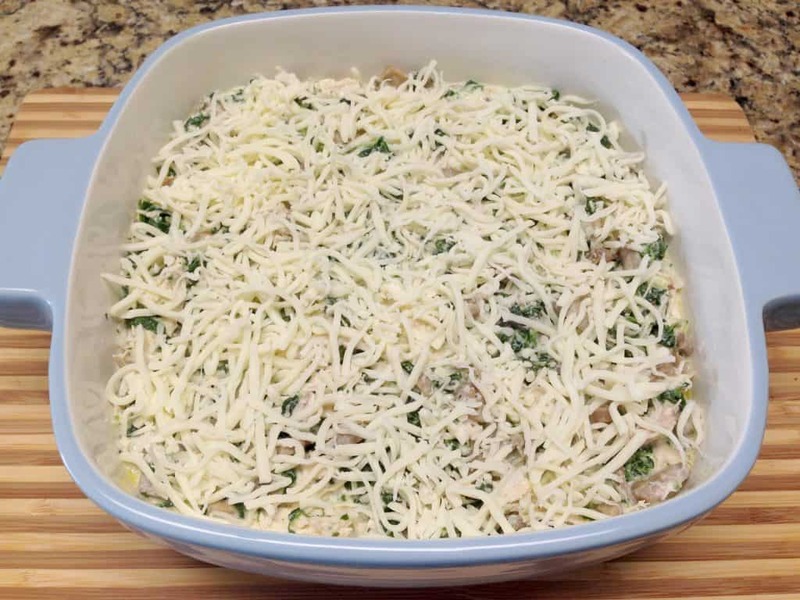 Shredded chicken, mushrooms and spinach are baked in an Alfredo type sauce and topped with gooey mozzarella cheese. Familar ingredients and so easy to make! Preheat oven to 375F. Add the shredded chicken to a large bowl. Add in the mushrooms. 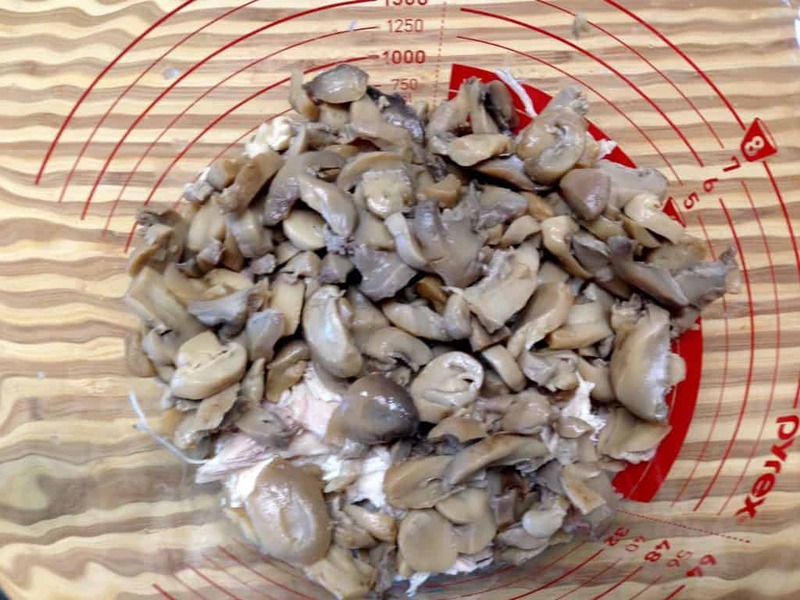 Squeeze all the water out of the spinach, then add to the bowl with the chicken and mushrooms. 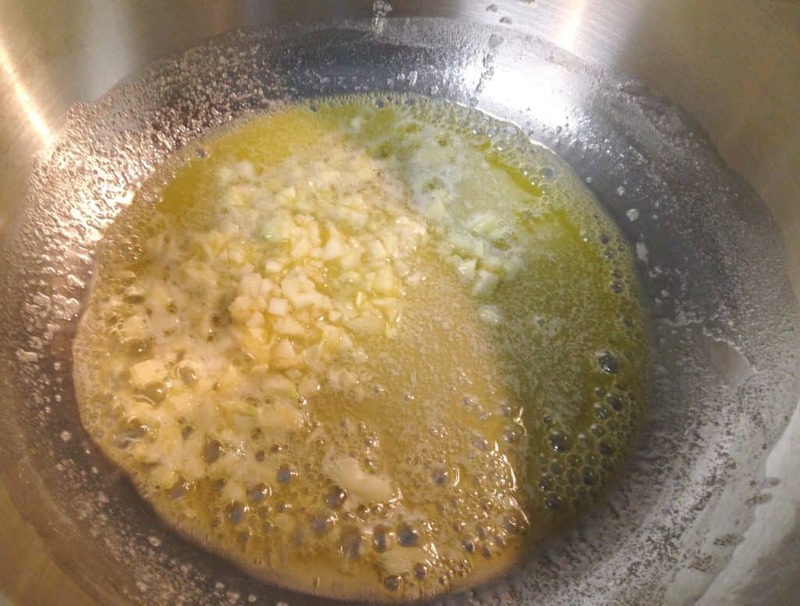 Heat a saucepan to medium and melt the butter. Add in the garlic and sauté for about 20 seconds, careful not to brown! 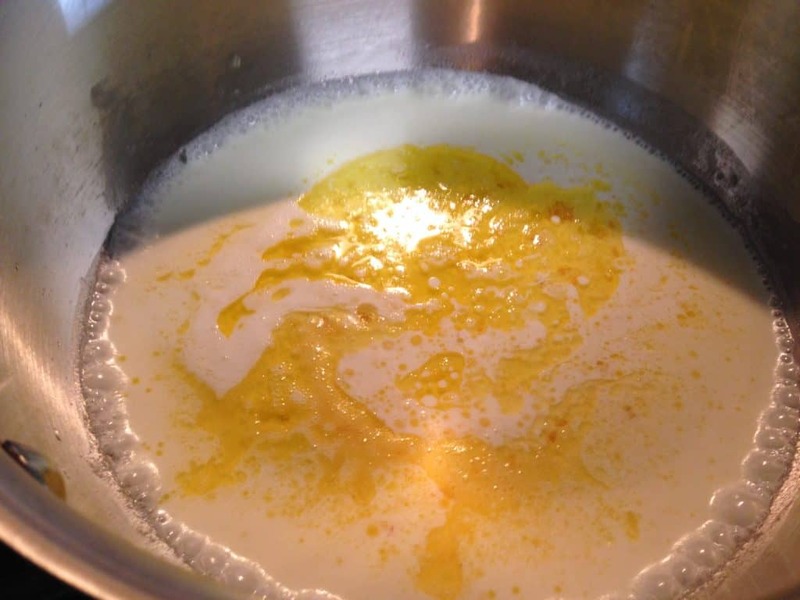 Add in the heavy cream and stir. Add in the mascarpone cheese, and stir until melted. Add in the grated parmesan cheese, salt and pepper. Turn off the heat and stir. 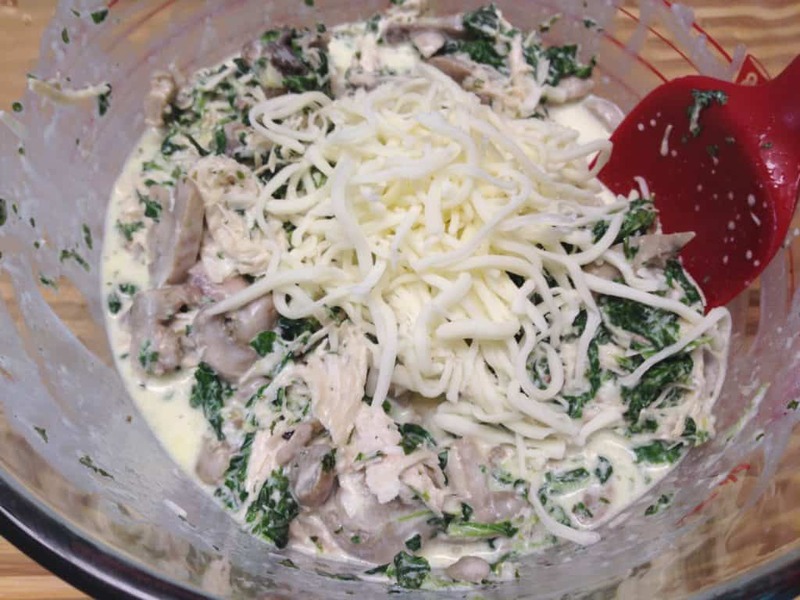 Pour the sauce over the bowl with the chicken, mushrooms and spinach. 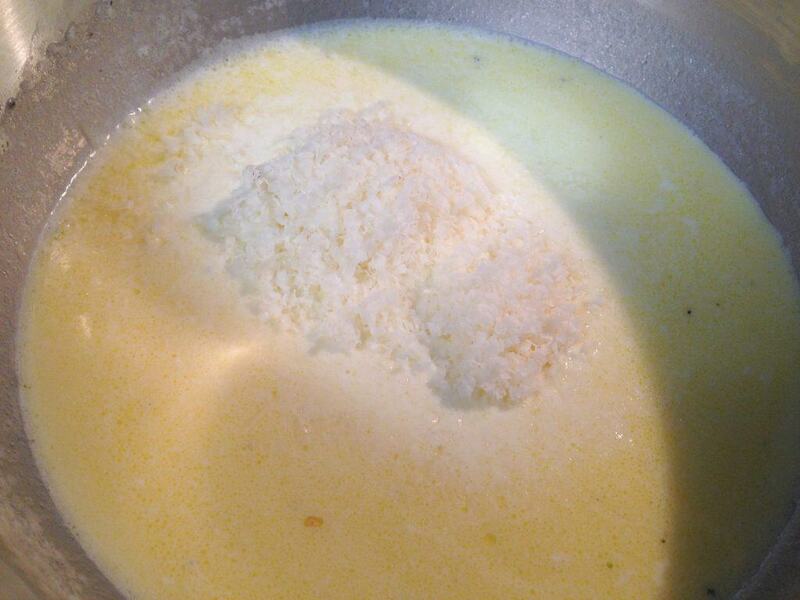 Mix, then add 1/2 cup of the mozzarella cheese and stir until well combined. Pour into a casserole dish that has been sprayed with nonstick spray. Sprinkle the remaining 1 cup of mozzarella cheese over the top and bake for 25 minutes. Can I use fresh mushrooms and fresh spinach instead? Also, would cream cheese work in place of the mascarpone? 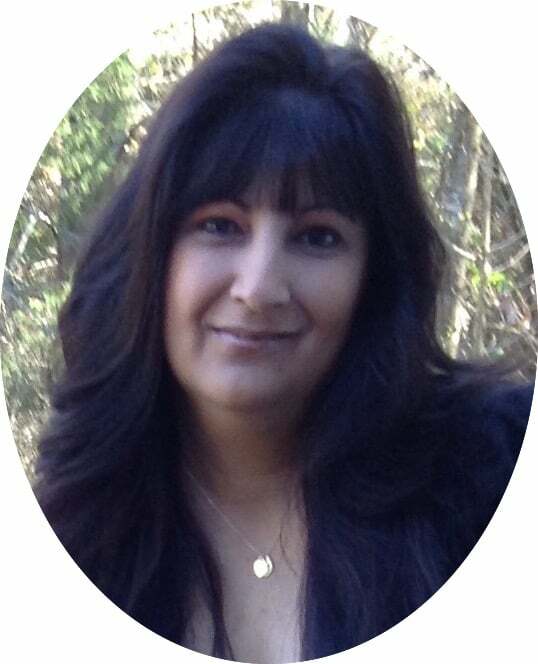 Hi Kathy, yes to all 3 substitutions, they should all work just fine! 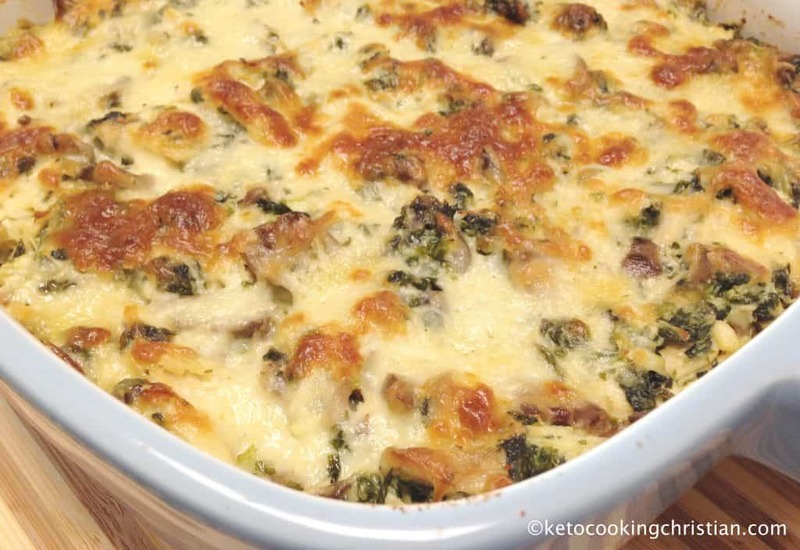 With the fresh spinach and mushrooms, I would definitely sauté them before mixing it into the mixing bowl with the other ingredients prior to baking. This will get all the water out so the casserole will hold together and won’t be watery. I hope that helps! This looks good, however in the picture, the mushrooms that added to the chicken look to be canned. 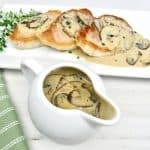 If I use fresh mushrooms, what adjustments do you suggest I make? 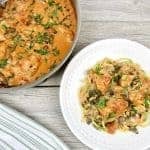 I almost never used canned mushrooms, but I decided to in order to make this a really quick and easy casserole to put together. I can certainly understand wanting to use fresh instead, so I would sauté them before adding them to the mixture. This will get them to release most of their moisture that you can discard, and won’t make the casserole watery. I hope that helps! It was delicious, we all loved it. 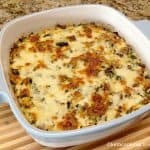 This is my absolute all time favorite casserole recipe! So much flavor and extremely easy to make. 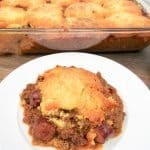 I have made 3 times and it is my go-to recipe. I make it on Sunday and it last all week for work. It heats up beautifully and the flavor never leaves! 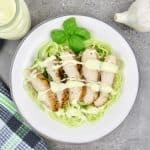 I recommend this to anyone for an easy meal for the family or just portion for lunches. So delectable!!! Excellent! Just made this for dinner and it is a home run!